Thickness of floating ice shelves in Antarctica. Ice thickness is greatest close to the grounding line where it can reach 1000 meters or more (red). Away from the grounding line, the ice rapidly thins to reach a few hundreds of meters at the calving front. Ice thickness varies greatly from one ice shelf to another. 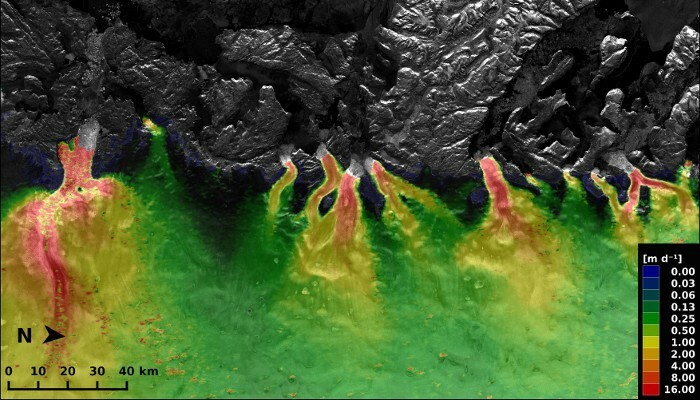 Within ice shelves, “streams of ice” can be spotted originating from individual tributary glaciers and ice streams. 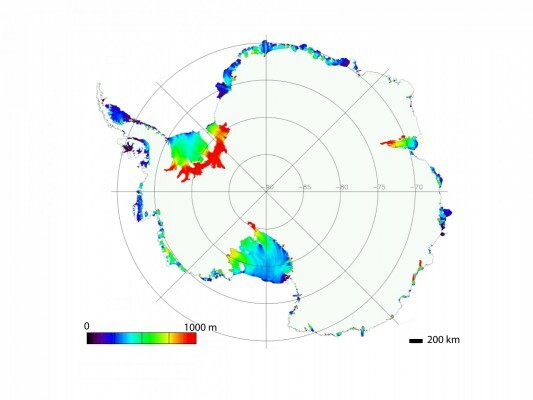 This dataset was used to compute calving fluxes and basal melt rates of Antarctic ice shelves (see Depoorter et al, 2013). This ice thickness map was derived from altimetry data (ERS and ICESat) acquired between 1994 and 2009 and corrected for elevation changes during this period. Follow this link to download the georeferenced map and see Depoorter et al (2013)‘s paper for more information. Stormy day at Dye-2, 20th of May. Credit: Babis Charalampidis. 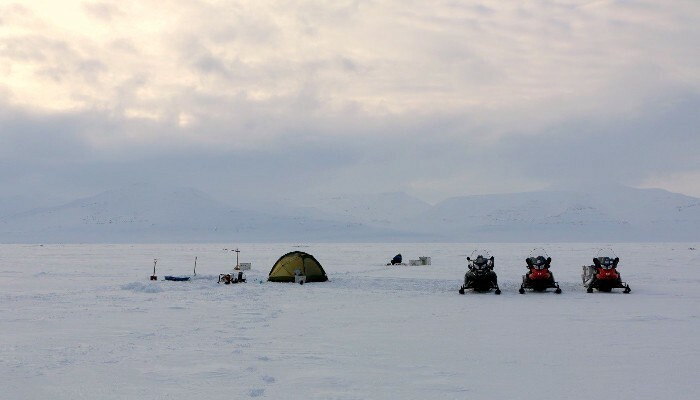 In the morning on the 19th of May, we – the Arctic Circle Traverse 2015 – found ourselves in a great dilemma; to stay or to go? On our check-in conversation with the KISS crew, we were informed that an east front from Kulusuk was expected to hit our location up on the ice sheet sometime in the afternoon. The relatively low winds that we were experiencing would get stronger, and the visibility would reduce even more. 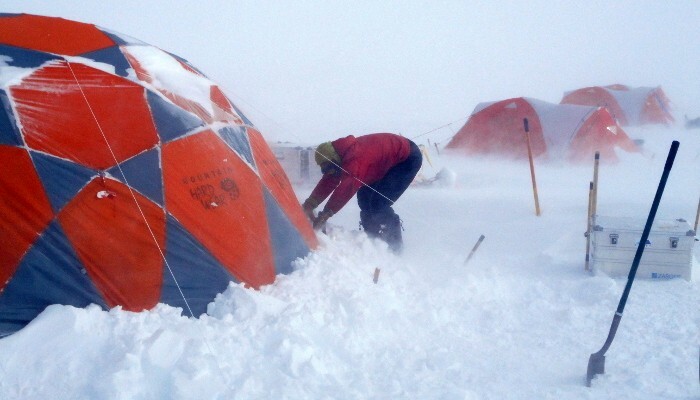 The past couple of days at Saddle, we had experienced nothing but strong winds and snow drift. First, it had been a warm front from the west. The next day we were hit by a cold front from southeast. 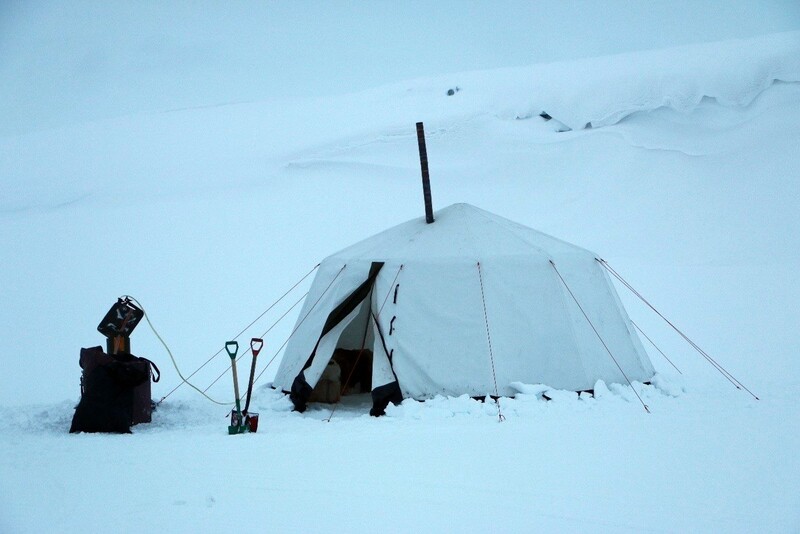 The orientation of our camp did not matter anymore; everything was snowed in. Having completed all our tasks at Saddle, our second-to-last location, we were ready to traverse to Dye-2, our final stop. We had a few more tasks to complete there, before we return to Kangerlussuaq and after a total of three weeks traversing the ice sheet. Evening hours after our arrival at Saddle on the 16th of May. Credit: Babis Charalampidis. The advantages of traversing that day were plenty: We would reach our final destination, while keep being ahead of schedule. Setting camp next to the airway at Dye-2 meant that even if that forecasted east front was to last for days, we would be able once it passes to complete our work, and get off of the ice sheet with the first flight out. Shane and I were also planning to drill one extra firn core about 30 kilometers northeast from Dye-2, and the sooner we reached the old radar station, the better the odds for performing the drilling. Also, Achim’s commercial flight back to Europe was booked for the 26th of May, and missing that was not an option. The disadvantages? Just one really: There was a front coming. After weighing all the above, we decided to take advantage of this small window of opportunity, and attempt the 100 kilometer traverse. Considering the northeast heading until Dye-2, we would have the frontal activity on our backs. Perhaps we would even arrive there before the storm. We finished with our breakfast and started packing the camp for our last traverse. After about three hours of intense shoveling, disassembling and packing everything on the sleds, we were ready to go. It was early afternoon when our thumbs hit the throttles of our ski-doos. Everybody made sure to be dressed up warmly. Our outfits had to be as airtight as possible, allowing only a few holes to breathe from. Max was leading our convoy into the fog, with visibility being about 50 meters of field overview. We decided to keep close to one another, with our speed regulated to 25 kilometers per hour. It would take us about 4.5 hours until Dye-2, including two 15-minute stops. Having the wind on our backs made the journey comfortable, enjoyable even. On our first stop for a snack, 30 kilometers in, the enthusiasm was apparent on everyone’s face. So far, so good. Traversing from EKT (FirnCover project) to NASA-SE (GC-Net) on the 10th of May. Credit: Babis Charalampidis. Continuing the traverse, I was still riding on the back seat of the “Euro-Ski-Doo”. Achim was always the one to begin a traverse and I would take over halfway through. It was not more than five kilometers since our first stop when I felt a huge wind gust from my right side. And then another. And another. Soon enough, it was just a constant force on my side that I had to struggle against. Max was dragging two sleds with his ski-doo. I could now only see the very last one, just a few meters away. We kept the pace through the wind, and about 35 kilometers away from our destination, we had the second break. I stopped the ski-doo and smoked a cigarette while the rest had a snack and some water. It looked as if the atmosphere got a bit clearer, giving the illusion that this might have been it. I finished the smoke, grabbed a couple of biscuits, and jumped again on the driver’s seat. Contrary to what we had hoped, the wind got even stronger. Snow storm was now hitting us and the visibility was terrible. You enter some sort of trance when riding the storm. The reality around you becomes a vail so thick that it minimizes your perception and challenges your comfort zone, but curiously enough without suffocating you. Soon, however – provided the cold is not getting to you – the snow and wind becomes what can only be described as a “white dream”. All you have to or can do is float in it. I found myself being concentrated on small details for prolonged periods, the trembling speedometer, and the sound of the engine or the shallow beam of my headlights. These details become somehow important once there is nothing else out there. I tried to stimulate my thoughts by keeping an eye on Shane and Mike’s sled, whenever I could see it, make sure nothing falls off. It felt almost like waking up when Achim knocked my shoulder. The cold got him. We switched seats again. Darren pushing forward: Departure from KAN_U (PROMICE network) 6th of May. Credit: Babis Charalampidis. It was not the first time I had arrived at Dye-2, but it was definitely the most peculiar one. This huge construction in the middle of the ice sheet is usually visible from tens of kilometers distance. This time, we were less than two kilometers away and I could not see it. Somewhere inside the distorted from the storm atmosphere, we could see another camp, another group of researchers, possibly. We wasted no time with setting our tents as we were eager to take shelter after the long hours in the storm. The teamwork that had gotten us so far these past two weeks peaked in a remarkable way, with Max leading the efforts. After an hour or so, while finishing with our camp, two researchers from the other camp came to greet us. They were bundled up and wore masks. I recognized one from his eyes, as I had met with him in Kangerlussuaq three weeks before. They said they hoped to catch the next flight out of the ice. Our stay at Dye-2 was again very successful. All scheduled tasks were completed within 12 hours the second day after our arrival, and we even got to retrieve and log one extra firn core. That day, the other science group departed for Kangerlussuaq. On the evening of the third day, after logging the last core, we were able to relax a bit and visit the old radar station. It felt good to be there again. Shane and Mike managed to enter the side-dome. I was just glad to get to enjoy the view from the top once again. Setting the last tent – the latrine tent – at Dye-2 on the 20th of May. Credit: Babis Charalampidis. Back in Kangerlussuaq, we were excited to find ourselves minutes away from a nice, long shower. We got a bit disappointed when Kathy Young told us that the local market was closed – being White Monday and all – and we could not buy beer. She asked us how everything went. We replied that we were really successful, completing more than our scheduled tasks, and that we were really surprised with how smooth everything went finally. We definitely had favorable weather most of the time, and we managed to take advantage of it. She laughed a bit, and said that we definitely impressed with our performance. 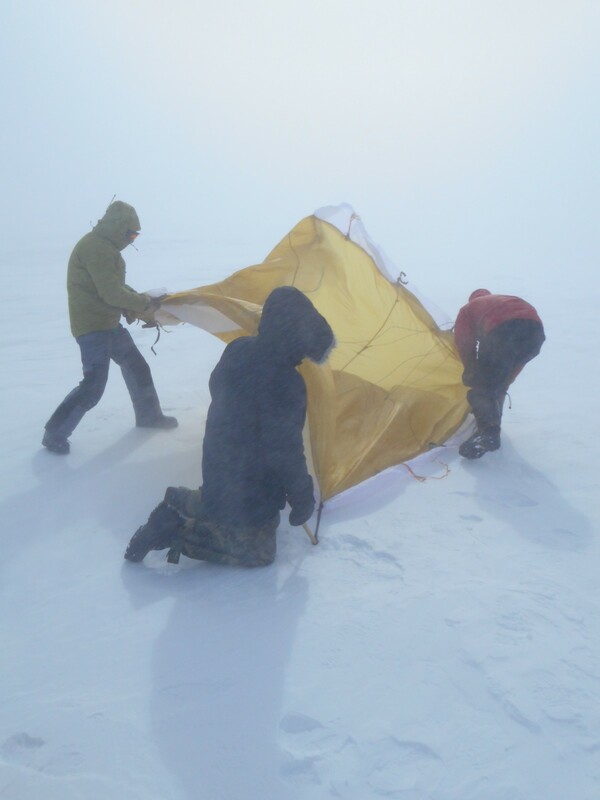 We didn’t get it, and then she explained that the other science group from Dye-2 kept talking about our arrival in the middle of the storm and our casual camp establishment, like there’s nothing going on, while they had been in the tents due to the weather for days. We felt quite flattered by that, however we didn’t really have a choice. It didn’t feel casual either. Two days later, we were on the move again, this time with an icelandic Twin Otter, visiting for one more week the northern locations of the FirnCover project. We established the remaining firn compaction stations, and retrieved several more firn cores. Favorable weather conditions were instrumental for the success of this year’s Arctic Circle Traverse. After all, that’s the most important factor up on the ice sheet. A skillful team, with which you can always push some more is the other. I am glad I was one sixth of it. Arctic Circle Traverse 2015. Credit: Babis Charalampidis. Babis Charalampidis (GEUS/Uppsala University) is an Uppsala University PhD student within the SVALI project, based at the Geological Survey of Denmark and Greenland and supervised by Dirk van As. He is interested in the Greenland ice sheet’s mass budget, particularly the link between energy balance and subsurface processes such as percolation and refreezing. He studies the changes of the lower accumulation area of the southwest of the ice sheet in a warming climate, based on in situ observations. 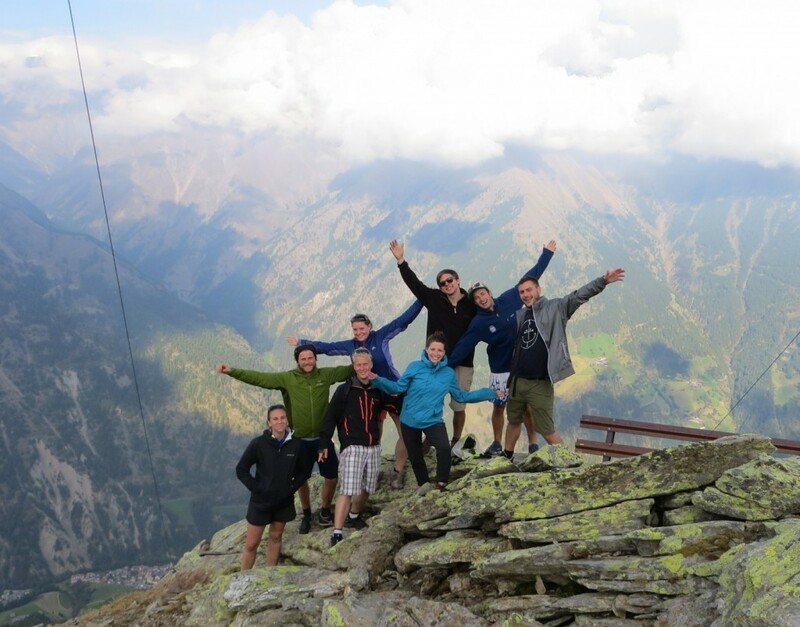 Read Babis’s story of his fieldwork last year here. 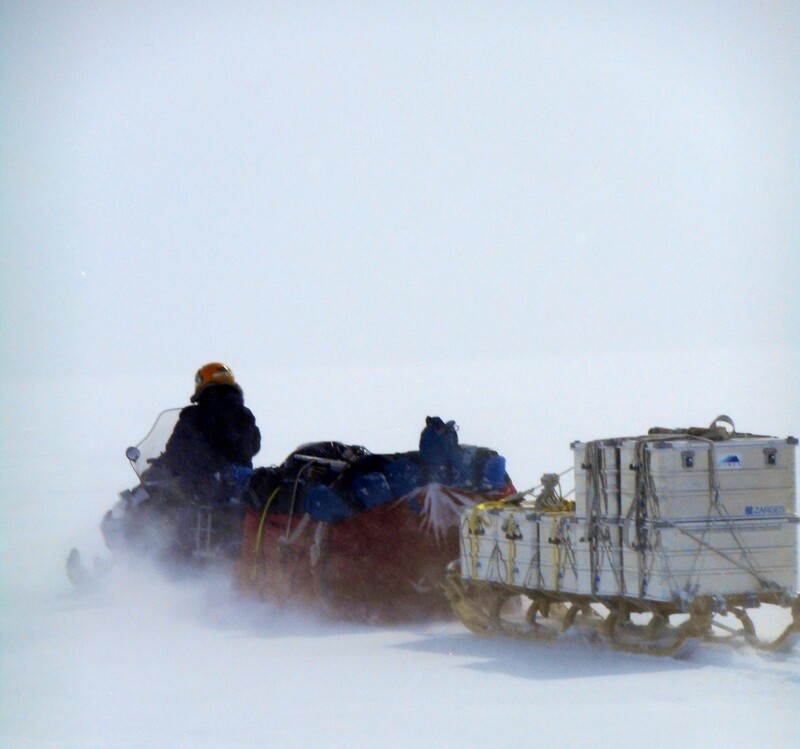 How do you get a hot water drill onto an ice sheet? The Subglacial Access and Fast Ice Research Experiment (SAFIRE) uses a hot water drill to directly access and observe the physical and geothermal properties where the ice meets rock or sediment at the glacier-bed interface. 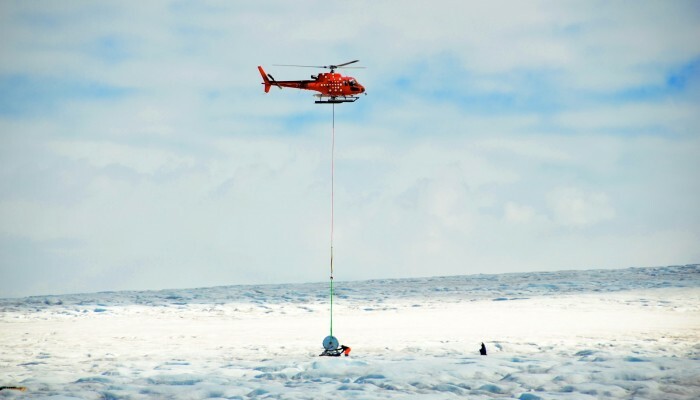 Here, SAFIRE principal investigator Bryn Hubbard and post-doc Sam Doyle help fly in the drill spool at the start of the Summer 2014 field campaign on Store Glacier, Western Greenland. 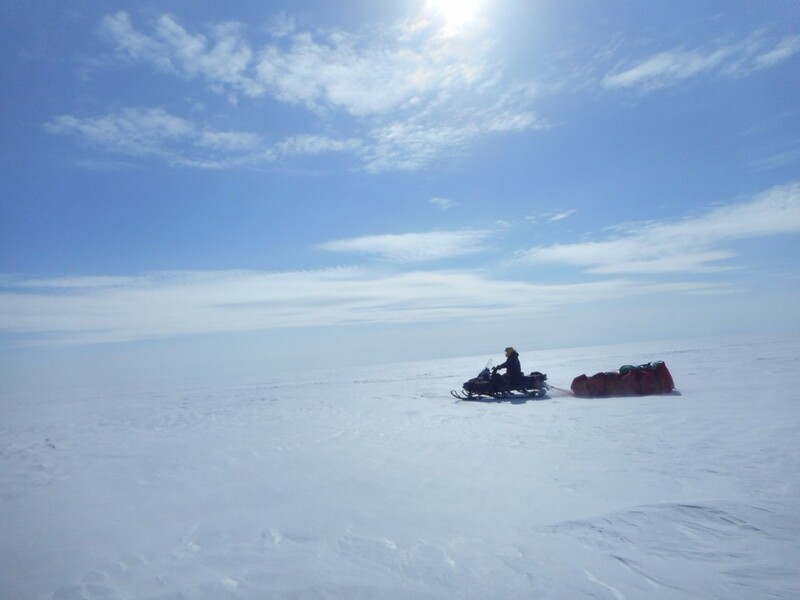 Three boreholes were successfully drilled and instrumented with thermistors, tilt sensors through the ice column, and subglacial water pressure, electrical conductivity, and turbidity sensors at the ice-bed interface. Further work will be carried out in Summer 2016, when more instruments will be installed at the study site, and more helicopter slinging will be needed. After a train, the London Underground, another train, a flight, three more trains and a taxi (shared with people I had met on my way); I had arrived in a small Alpine village in the very north of Italy. The reason for this rather convoluted journey? To attend the Karthaus Summer School on ice sheets and glaciers in the climate system. I’m pleased to say it was definitely worth the trip getting there! 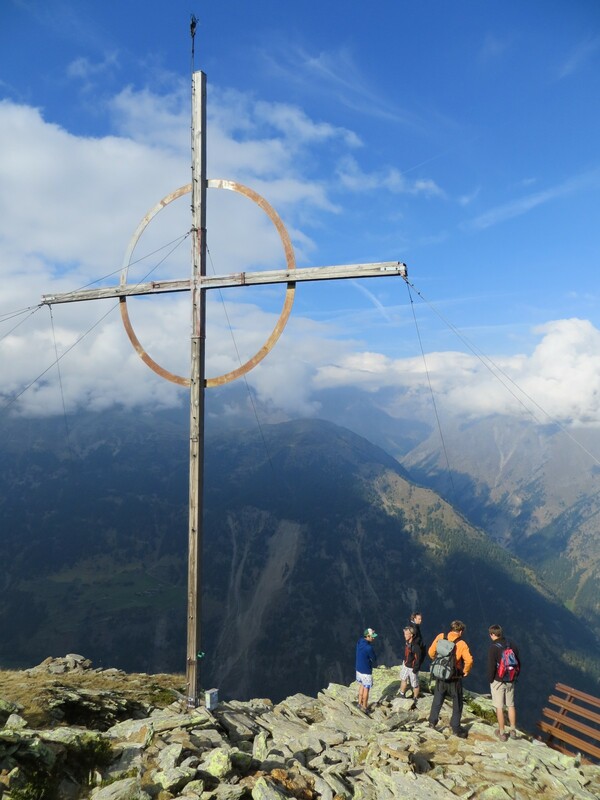 Nearly every September for the last 20 years, around 35 glaciology students from all around the globe descend on the village of Karthaus for 10 days to learn about all things icy. This year we were a mixture of mostly PhD students, a few postdocs and masters students. We were joined by 11 scientists from institutions around Europe, who were willing to give up some of their valuable research time to lecture students in their area of expertise (maybe the food and wine is enough to persuade them…). Each morning we had lectures on a range of topics, including continuum mechanics, ice dynamics, numerical modelling, geophysical methods, polar oceanography and climatology; with plenty of coffee breaks in between to keep us alert. The lectures were excellent – I felt that in each topic, the basics were explained in a good amount of detail, enabling us to get a grasp on more complex ideas. I’m sure I will be referring to the lecture material in years to come. In the afternoon (after the three course lunch!) we went on to problem exercises, which we tended to work on in pairs, and group project work. These group projects were a great way to get stuck into a particular problem in more detail, in an area of glaciology that was not directly related to our own research. The results of our group projects were presented on the last afternoon. It was great to hear what everyone had been working on: from reconstructing glacial history of the Tibetan Plateau to modelling ice on Mars. It wasn’t all work – each evening there was plenty of time before dinner to go for a run, play ping pong, sleep, or sauna. With the exception of perhaps the penultimate evening, when the time was spent making our group project presentations. And there was plenty of post dinner socialising, which mostly involved playing games in the bar. Before I attended Karthaus, there were a number of things previous participants told me about. When I told people I had a place, the most common response was “enjoy the food!”. Despite this, I don’t think I quite appreciated what it was going to be like to eat a three course lunch and a five course dinner every day! It was absolutely delicious though – fresh salad, homemade pasta, and lots of cream and parmesan. And of course bottles of the local wine on every table. Another thing I was forewarned about was the yearly tango lessons from Hilmar Gudmundsson. I say “warned” because, as someone with zero sense of rhythm, dancing is not a skill I possess. Luckily, I didn’t seem to be alone in finding it a challenge, and seeing as the woman is supposed to “follow” the man, it wasn’t actually my fault when it went wrong (apart from when I got told off for trying to take the lead!). It was great fun and people got very much into it – so much so that we had a couple more dance nights, where we were also taught some German disco fox and Scottish ceilidh! Something that was definitely not expected was the public premier of the movie “Everest” in the village square, a week before it was released to cinemas. 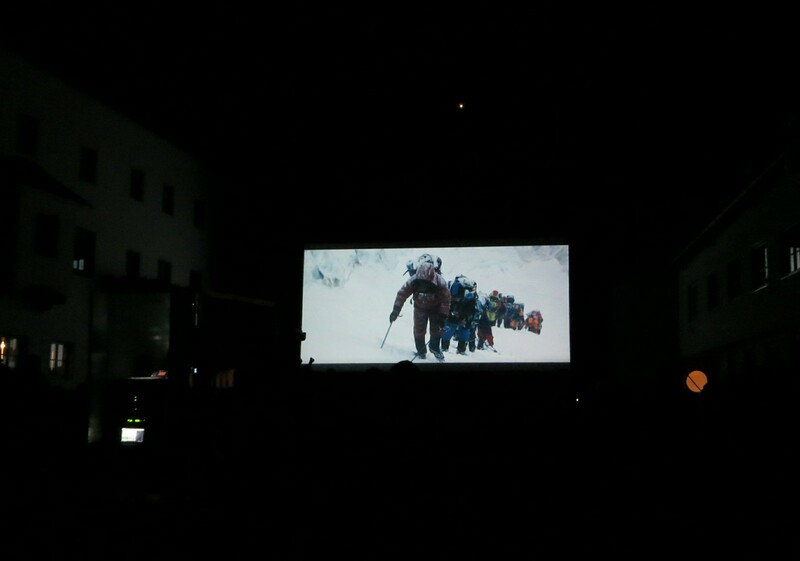 It turns out that much of the movie had been filmed in the surrounding mountains and on the glacier we visited on our excursion. This free public viewing was in honour of the help and hospitably the crew received during the filming. They must have done an excellent job in turning the Alps into the Himalayas. When we took the cable car up to the Hochjochferner glacier the following Wednesday for our excursion, the cloud was so low that for all we knew there could have been Everest looming over us. Lack of snow cover on the ice meant we were unable to walk to the weather station that Carleen Tijm-Reijmer described in her lecture. 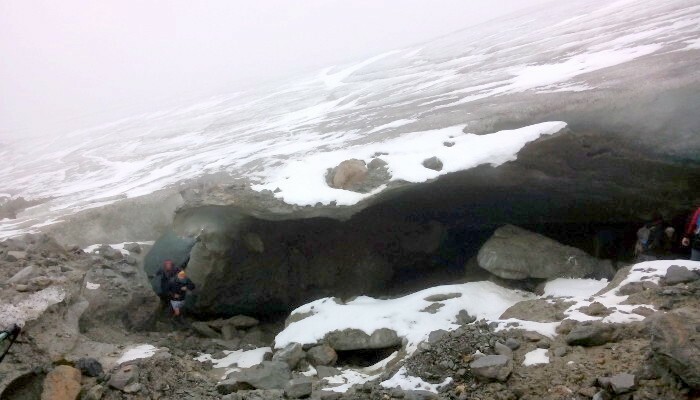 However, we were still able to get up close (and underneath) the glacier. We had the chance to spot some of the geomorphological features we had learnt about in Arjen Stroeven’s lectures. When you see a large boulder suspended in the basal ice, it is easy to understand how striae are scratched into the underlying bedrock. After an early lunch in a mountain hut (including wine), we were free to go on a hike in the surrounding mountains. My group walked to a rock glacier in a neighbouring valley – the weather made the place feel more like Wales than the Alps, so we warmed ourselves with a Bombardino in another mountain hut. 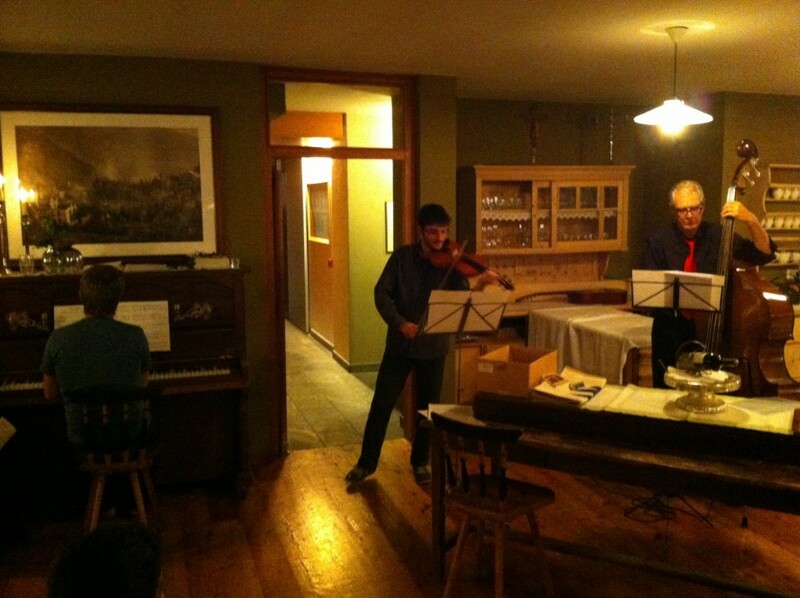 On the last evening, after the five course meal, we were treated to live music by members of the group. We then moved to the village hall for a final night of Karthaus dancing. It was a great evening to end a fantastic 10 days, and the next morning saw all of us (tired and slightly worse for wear) making our way home. I highly recommend that anyone who is beginning their career in glaciology applies next year. A huge thank you to Hans Oerlemanns and all the lecturers for creating such a fantastic summer school. Also thanks must go to Paul and Stefanie Grüner and all their staff at the Hotel Goldene Rose for making us feel so welcome! Isabel Nias is a PhD student at the Bristol Glaciology Centre, University of Bristol, supervised by Tony Payne. She is using an ice-flow model to investigate grounding-line dynamics of ice streams in the Amundsen Sea Embayment, and how this may impact future sea level. Her work is part of the UK Natural Environment Research Council iSTAR programme, which aims to improve understanding of the stability of the West Antarctic Ice Sheet. Deglaciation and formation of an ice rise with the ice-sheet model BISICLES. The simulation starts with an ice sheet in steady state that overrides a topographic high in the bed, close to the calving front. The sea level is then forced to rise steadily with 1 cm per year during 15 thousand years, and the simulation goes on until the ice sheet reaches steady state. The animation below shows that the formation of an ice rise delays the grounding line retreat. For more information see Favier and Pattyn (2015)‘s recent paper. The movie shows the ice sheet retreat and the ice rise formation and evolution in between the two steady states. The movie starts after 5 thousands years of sea level rise. The ice upper surface is colored as a function of the velocity magnitude. The ice lower surface is colored either in light gray for floating ice or dark gray for grounded ice. Credit: L. Favier. 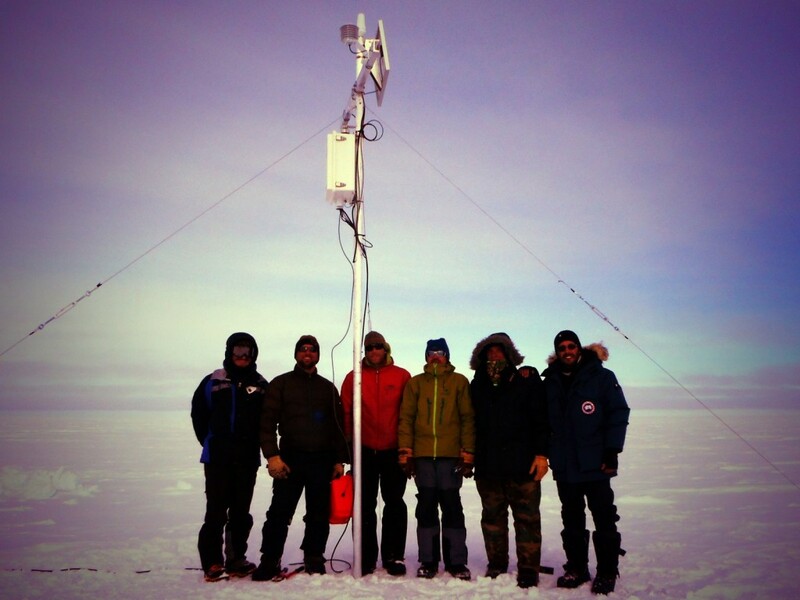 In early April 2015, a small team of 2 Belgian and 2 French researchers went to Svalbard. The goal? 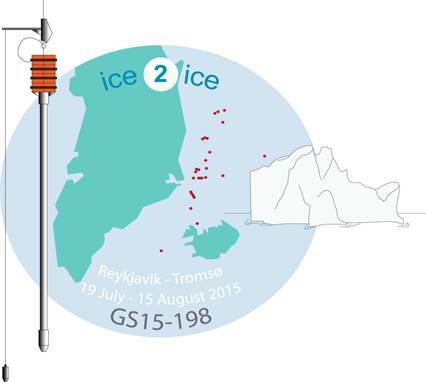 Testing new methods to measure sea-ice thickness and ice algal biomass, but also measuring greenhouse gases in the sea ice in relation with the ‘STeP’ (Storfjorden Polynya multidisciplinary study) campaign. With funding from the French Polar Institute (IPEV) and IPSL and logistical arrangements by the Laboratoire d’Océanographie et du Climat (LOCEAN, Paris), we had the opportunity to conduct a short field campaign, long enough to perform instrumental tests and ice coring. Outside the tent (credit: A. Lourenço). Build the body and the membrane of the tent. Dig a hole in the snow right under the entrance to allow carbonic gases to escape. 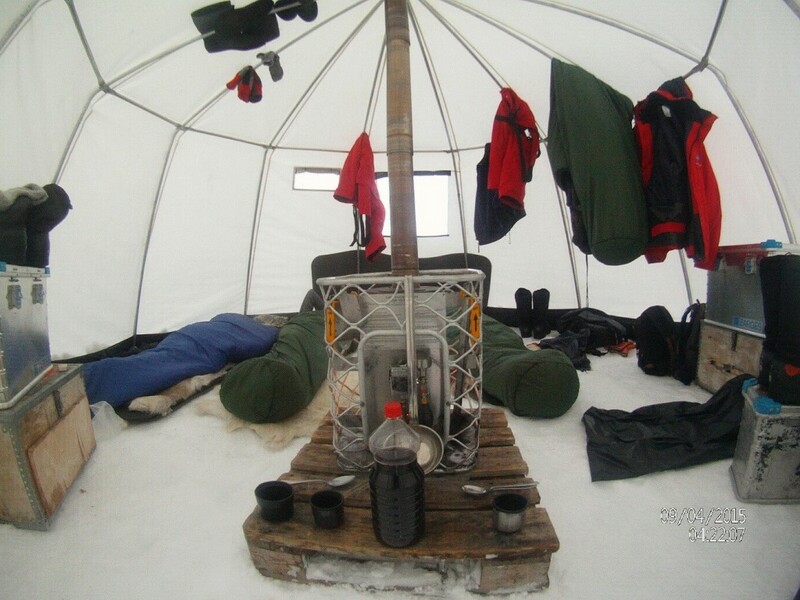 Set up the oil burner circuit: the oil tank positioned outside the tent is sent to the burner through a pipe covered by snow to avoid spilling accidents, and another pipe made from superposition of aluminum cylindrical cans links the burner to the air above the tent. A hole in the membrane of the tent is designed for that purpose. Circle the tent with a bear alarm. This was totally handmade and consisted of a gun firecrackers guided by a thread, not really sufficient to stop a polar bear! Eating, sleeping, working, everything was adapted to Arctic conditions. The meals – morning, lunch and dinner – were just dry food in hermetic bags that you fill in with boiling water. Better choose the orange bags, chili con carne is the best. To sleep, reindeer skins were placed directly on the ground (i.e. snow) as mattresses, and sleeping bags were in natural bird feathers. The ideal position is when you find the perfect distance between your feet and the burner. 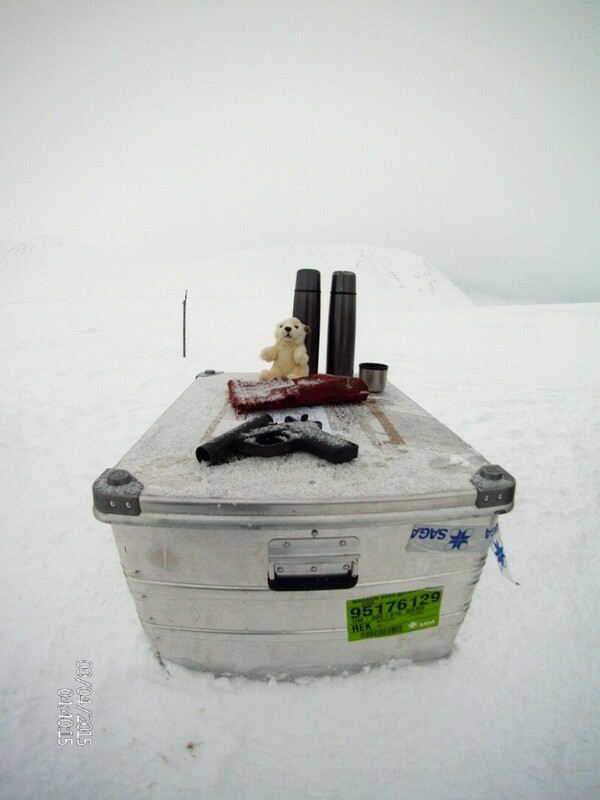 As the bear alarm might not be totally reliable, our guide offered us (well, without the possibility to decline or give up) a memorable nocturnal experiment, a series of 2-h bear-watching shifts, with a survival kit consisting of a flare gun, 2 tea thermos and 1 teddy polar bear for superstition. 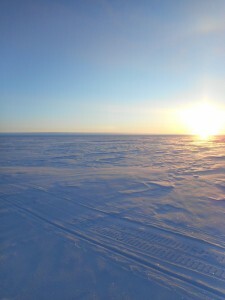 The objectives of this short campaign were (i) to sample early spring sea ice, snow and seawater in the Storfjorden region; (ii) to calibrate non-destructive methods for ice thickness and biomass retrievals in sea ice; and (iii) to measure greenhouse gases in sea ice in relation with the ‘STeP’ campaign. 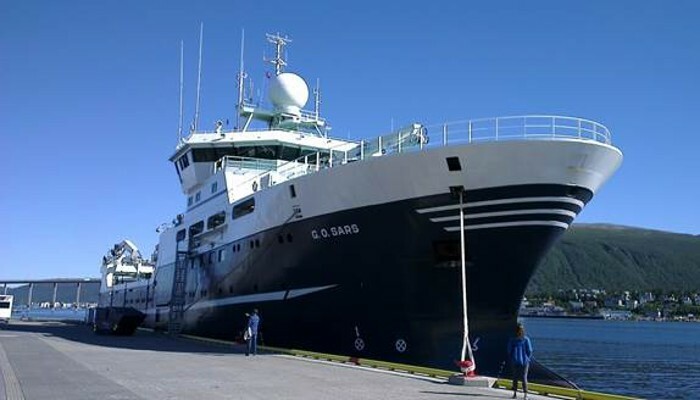 This cruise is scheduled for next summer in Storfjorden, led by IPSL-Paris and involves paleo-oceanographers, physical and chemical oceanographers as well as biogeochemists from several countries. 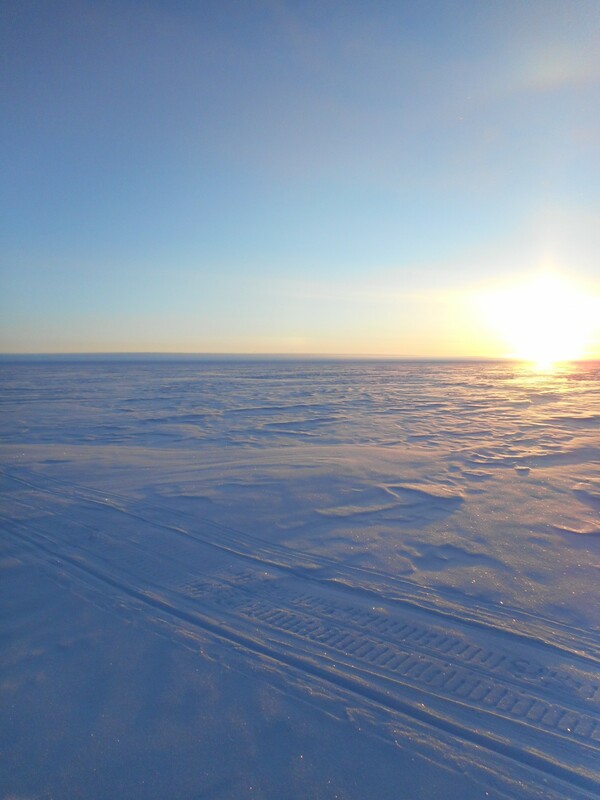 Why is it so important to develop a non-destructive method while working on sea ice? 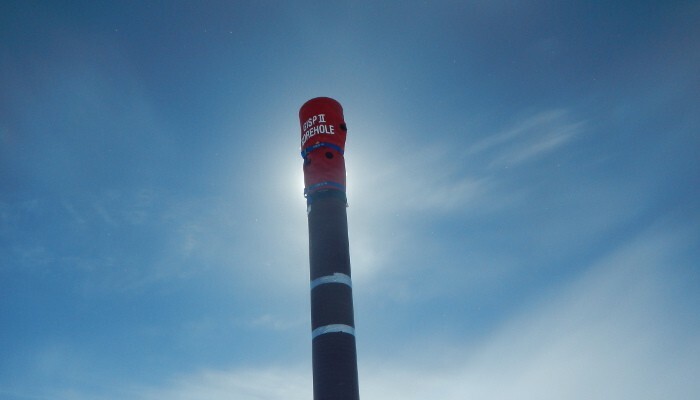 Because the general and only way known currently to sample sea ice in its entire thickness consists of coring, which destructs the site and can alter sea ice biogeochemical conditions. With these goals in mind, the initial plan was to operate 2 or 3 stations per day on coastal landfast ice in Storfjorden. Agardhbukta was chosen for its situation (not too far from Longyearbyen) and as one of the locations in Storfjorden where we had good expectations to find practicable sea ice in this season, which was required to carry out our work. Our guide Stefano mentioned he saw a satellite image with new sea ice on March 23 in that location. And indeed, the sampled ice was probably not older than 2-3 weeks (Figure 4). Regarding the sampling planning, our expectations where a little bit overestimated. The weather conditions were so snowy and windy that we hardly had the time to sample one full station a day… This is how Polar Regions surprise us. Marie Kotovitch is a PhD student at the Chemical Oceanography Unit, University of Liège, supervised by Bruno Delille. She is working with sea ice and gas transport (mostly greenhouse gases like CO2 and N2O). She has a collaboration with the Laboratory of Glaciology at the Université Libre de Bruxelles and was involved in this campaign in Svalbard to analyze the biological aspect of this study. Going on a cruise for a month sounds tempting for most people and that is exactly how I spent one month of my summer. Instead of sunshine and 25 degrees, the temperature was closer to the freezing point on the thermometer and normal summer weather was replaced by milder weather conditions. The destination of the cruise was the western Nordic Sea and the east Greenland Margin. The ice2ice cruise was not a regular cruise, but a scientific cruise, starting in Reykjavik then heading towards the east coast of Greenland and ending in Tromsø, Northern Norway. Without the option to go ashore and far away from civilization, I spent four weeks aboard the Norwegian RV G.O. Sars. When I came home from the middle of the ocean, I realized that I had been part of a unique project. Why are climate scientists going on a cruise? The purpose of the cruise was to collect marine sediment cores in the western Nordic Seas and along the east Greenland Margin. The retrieved sediments can be used to document abrupt changes in sea ice cover and ocean circulation along the East Greenland continental margin, during glacial times and for the more recent past. For this purpose three different sediment coring systems were used. The multicore, which samples sediments, including the sediment/water interface at the sea floor, the gravity core that is used to get information about the deeper marine sediments (up to 5 meter), and the calypso core that could retrieve up to 20 m long sediment cores, containing muddy sediments from the ocean floor to the ship’s deck. One of the main questions of the ice2ice project is why there are abrupt climate changes. The sediment cores should be ideal for correlation to the RECAP (http://recap.nbi.ku.dk/) ice core from Renland Ice Cap in Eastern Greenland, drilled earlier this year. Together it is a unique material, which hopefully can bring information of the sea ice cover and its extent back in time. Sediments: a split calypso core showing a clear pattern of a tephra layer from a volcanic eruption (left), and the multicore on the way up with four successful sediment cores (right). Photo credit: Iben Koldtoft and Ida Synnøve Olsen. This was my first cruise ever, and before I boarded the ship in Reykjavik in mid-July, my knowledge of marine sediments and the ocean was very limited. Most of the people on board the ship were geologists who knew a lot about sediments from the ocean and had been on cruises before. Now a month later, my knowledge about sediments and the life aboard a research ship has become much larger. I think I had the steepest possible learning curve about sediments, because there were no stupid questions to ask, and everyone was very nice about answering questions, even if it was outside their area. Usually I work with ice cores and modelling of glacier ice and for me everything was new. This meant that I could contribute with knowledge about the RECAP ice core instead. 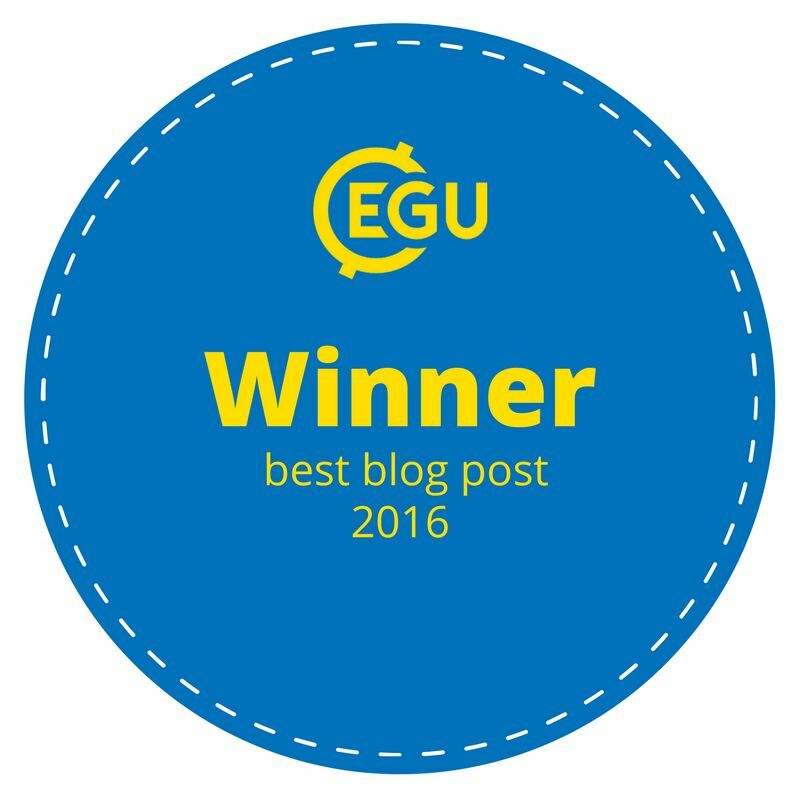 Now I can take part in a conversation about sediments together with other geologist. Normally when going on a cruise, there are only a few scientists on board on the ship. This means that there is only time to core the sediments and cut them into sections, while all the scientific work takes places later, when the sediments are in the lab. On this cruise, as something new, we were several scientists, so when the sediments were on deck, we immediately did a splendid job of handling the cores, describing and analysing the material. Thus, the detailed lab analyses can start right away after the material gets back to Bergen. Shipboard analyses indicated that the material we have brought back to the laboratories in Bergen covers a time span from the present and probably a few hundred thousand years back in time. Not all the data have been analysed yet but we are looking forward to start and we are eager to see the results. Midnight sun over the Greenland Sea. Photo credit: Dag Inge Blindheim. During the one month long cruise, we had collected numerous samples of shells from the ocean floor from 32 stations west of Iceland. We did CTD (Conductivity, Temperature and Depth) measurements, to get information about how the temperature, salinity, density and oxygen content of the water vary in the ocean, and we collected water samples at different depths to analyse oxygen and carbon isotopes. We also collected sediments from 31 stations and every core has passed the DNA sampling, color and MS measurements stations. The cores were then cut into sections, split down through the middle, logged and described so that we could get an initial feel for the quality and utility of the samples we retrieved, before they are brought to shore for much more detailed analysis. Ashley, Margit and Ida cut a gravity core into sections (left), while Alby brings a multicore from the deck down to the lab (right). Photo credit: Dag Inge Blindheim and Kerstin Perner. 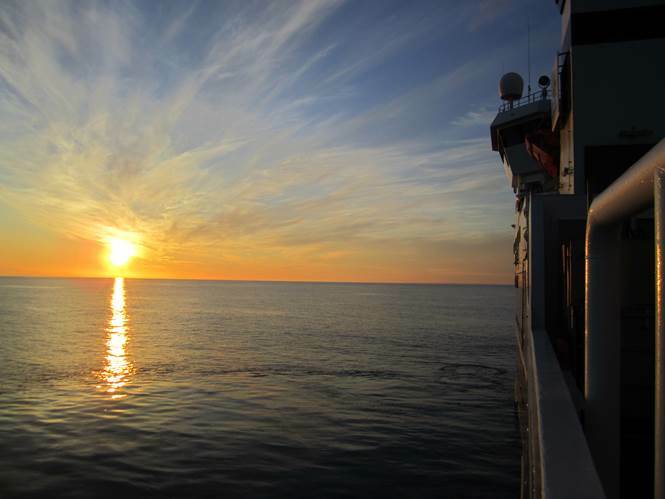 Working 24-hour shifts on the ship meant that we achieved a lot and we brought home more than 200 m of muddy sediment cores from the sea floor from the western Nordic Seas and the east Greenland Margin and more than 190 water samples. Although it was 12 hours of hard work most of the days, it was a pleasure to be part of the cruise. It has certainly not been my last cruise, if it is up to me, and I will look forward to a new cruise if I am lucky enough to get the chance. Weather was nice most of the time, but of course, we had some days of rough seas. The professionalism of the crew of G.O. Sars created an excellent atmosphere for work and time off, it was more like being on a real 4 star cruise if we ignore the time we worked. On the ice2ice cruise the scientists were Eystein, Carin, Jørund, Dag Inge, Bjørg, Christian, Margit, and Amandine from Uni Research (Uni Research Climate, Norway), Stig, Sarah, Evangeline, Henrik, Ashley, and Ida from UiB (University of Bergen, Norway), Flor from GEUS (Geological Survey of Denmark and Greenland, Denmark), Mads from CIC (Centre for Ice and Climate, Denmark), Kerstin from IOW (Leibniz Institute for Baltic Sea Research Warnemünde, Germany), Albertine from Bris. (University of Bristol, UK), and myself Iben from DMI & CIC (Danish Meteorological Institute & Centre for Ice and Climate, Denmark). We were 19 participants, 8 men and 11 women, representing 8 different nationalities, and supported by a ship crew of 15. We were in good spirits all the time and a successful cruise! 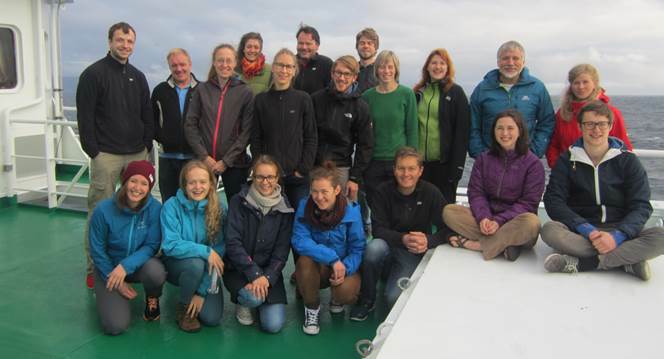 The cruise would not be possible without support from the European Research Council Synergy project ice2ice (Danish-Norwegian), Bjerknes Centre for Climate Research (Norway) and Institute of Marine Research (Norway), who provided research vessel and crew onboard. Iben Koldtoft is PhD student within the ice2ice project at Danish Meteorological Institute and Centre for Ice and Climate, University of Copenhagen, Denmark and supervised by Jens H. Christensen and Christine S. Hvidberg. She is interested in modelling the dynamics of the Greenland Ice Sheet and the smaller glacier, Renland Ice Cap, in the Scoresbysund Fjord, Eastern Greenland. Currently she is coupling the ice sheet model PISM to the ocean by implementation of calving to the model. Surface mass balance simulations of the Greenland Ice Sheet will later be used to assess the quality of the interaction between the ice sheet model and a climate model in comparison to observations.